For some odd reason, “nosegay” has been stuck in my head for days. I had to look it up. A nosegay, tussie-mussie, or posy is a small flower bouquet, typically given as a gift. They have existed in some form since at least medieval times, when they were carried or worn around the head or bodice. The term nosegay arose in fifteenth-century Middle English as a combination of nose and gay (which then meant “ornament”). So a nosegay was an ornament that appeals to the nose or nostril. That defined, I have to say I’m not really a tussie-mussie kind of lady. 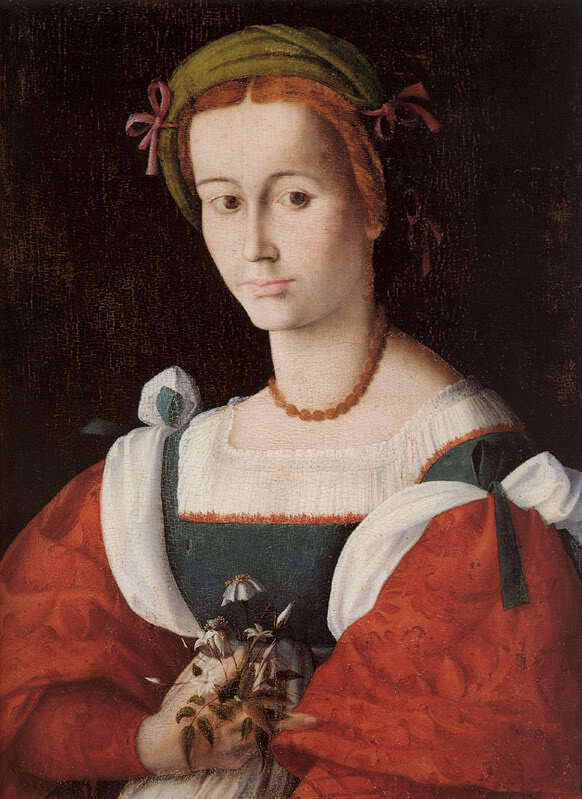 The lovely lady above is A Lady with a Nosegay (circa 1525) by Francesco Bacchiacca (1494–1557).